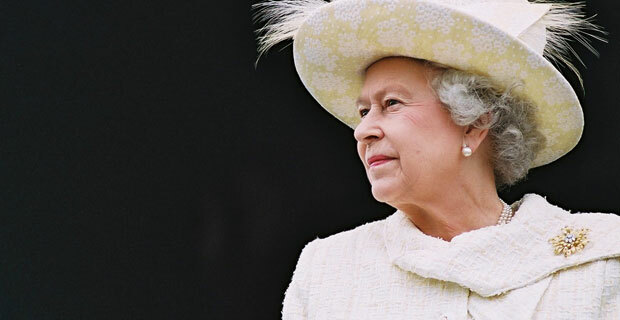 AsÂ mentioned previously, Queen Elizabeth II will be in our neighborhood today. Although poignantly not visiting the United States during our Independance Day holiday from the British — Queen Elizabeth II will be in New York City today, which includes an address to the United Nations General Assembly and a visit to Ground Zero. This would be the first visit of the site by the Queen since the September 11 attacks. The Queen is scheduled to lay a wreath at the site of the World Trade Center construction today with her husband, Prince Philip — also in town. Families and relatives of victims of the attack as well as first responders will also have a chance to meet her highness, who is in town to formerly open the British Memorial Garden at Hanover Square here in Lower Manhattan. The Garden is dedicated to 67 British citizens who had lost their lives during the World Trade Center Attacks. Queen Elizabeth has a history of visiting Lower Manhattan. Her first trip to our area was in 1957 where she made her first visits to the Statue of Liberty, rode on the Staten Island Ferry and was even greeted with her very own ticker tape parade on the Canyon of Heroes. Her last trip to our area was in 1976, where she marked the Bicentennial of America’s Declaration of Independence from Britain — part of an six day tour of the East Coast. Her slated visit to Ground Zero is scheduled for “late afternoon” so be wary of closings and extra security in and around the World Trade Center during that time.